Prosper Bernard Jr. is Fulbright Visiting Research Chair in Governance and Public Administration, and a Visiting Professor at the Graduate School of Public and International Affairs. He has expertise in the areas of comparative political economy, human security, and international governance. His current research addresses various issues relating to international criminal justice—in particular, the effects of pursuing justice on peace, complementarity under the Rome Statute of the International Criminal Court, and contributions and limitations of middle powers in promoting the ICC. 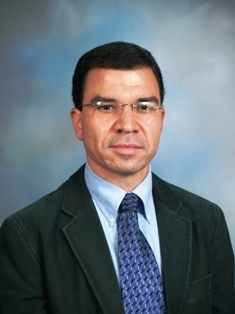 He holds a Ph.D. in political science from The City University of New York Graduate Center. He is a faculty member at the City University of New York (College of Staten Island) where he teaches comparative politics and international affairs, and is an adjunct professor of political economy at the Graduate School of Arts and Science at New York University. External Pressure, National Response: Industrial Adjustment in Canada since the 1970s. Lanham, MD: University Press of America, 2009. “Varieties of Capitalism and Inequality: Canada from a Comparative Perspective.” Journal of Humanities and Social Sciences 2 (2) (Fall 2008): 1-17. “Canada and Human Security: From the Axworthy Doctrine to Middle Power Internationalism.” The American Review of Canadian Studies 36 (2) (Summer 2006): 233-261. “The Political Logic of Institutional Change: Explaining the Evolution of Complementarity in the International Criminal Court” (Fall 2010). “‘Conditional Universality’ or ‘Universality Unbound’? A Comparative Study of Universal Jurisdiction Doctrines in Belgium, Canada, South Korea, and Spain” (in progress). “The road from Rome to Kampala: Taking stock of what the International Criminal Court has and hasn’t accomplished since 2002” (in progress).